As a child, the annual swimming or athletics carnival was either a) the highlight of the year or b) the time in which you'd try and hide under the bleachers to avoid being picked. Because not only was your class in front of you to witness your supreme level of co-ordination (or lack thereof) but the whole school was. Due to my own pint sized machinations, I wasn't often picked. I was usually hiding away out of sight and teachers have enough to deal with on that day than chase down a child. One time I wasn't quite quick enough when it came to my turn (I believe I was distracted by a sausage roll with tomato sauce). Still my teacher knew what to do with me. "We'll put you in the younger group, how is that?" she said. I didn't understand what that meant as I was too busy panicking at having to perform in front of the whole school. It was for me the physical equivalent of making a speech in the school auditorium with my underpants sticking out. "On your marks, get so, GO!!!" the teacher yelled and they fired the cap pistol. The sun was oppressively hot that day and I ran as fast as my little legs could carry me. Something odd happened though. I burst in front of the rest of the group and was at least a foot ahead of them. I had never experienced this view of life before and I was elated. I won the race and I jumped up and down buoyed by bliss for a few seconds before realising something. That pesky detail that I had run against people that were younger than me by an entire year...hmmm. So I can't really claim any sort of victory or cite any sort of running skills. If I can't run or offer any skills at athletics, may I at least offer you this recipe? 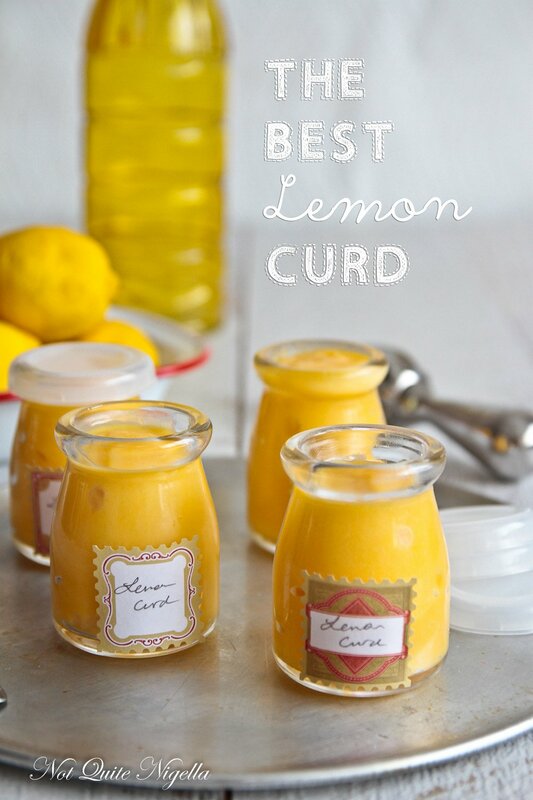 It's for the very best lemon curd ever. I know that is a huge claim and one that I don't make lightly. 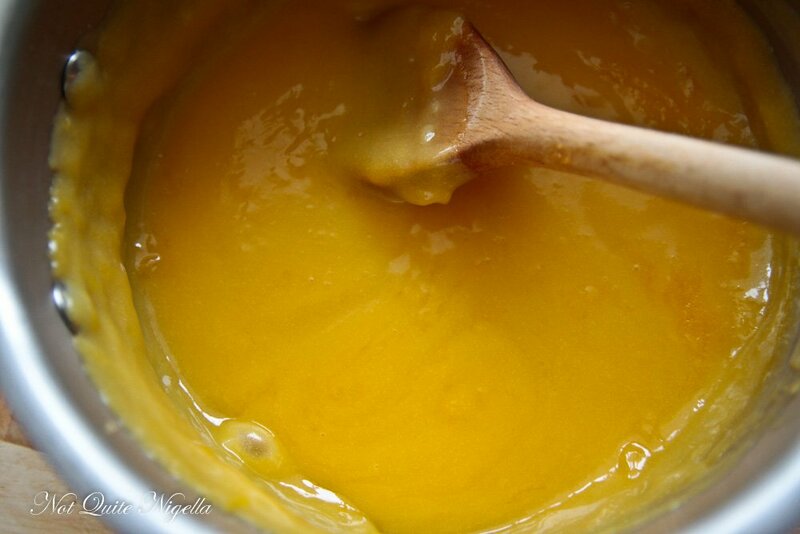 You see I've always made lemon curd with a combination whole eggs and egg yolks. What happens is that the egg whites cook quicker than the yolks which results in wisps of egg white through the curd and a bubbly, lumpy texture. 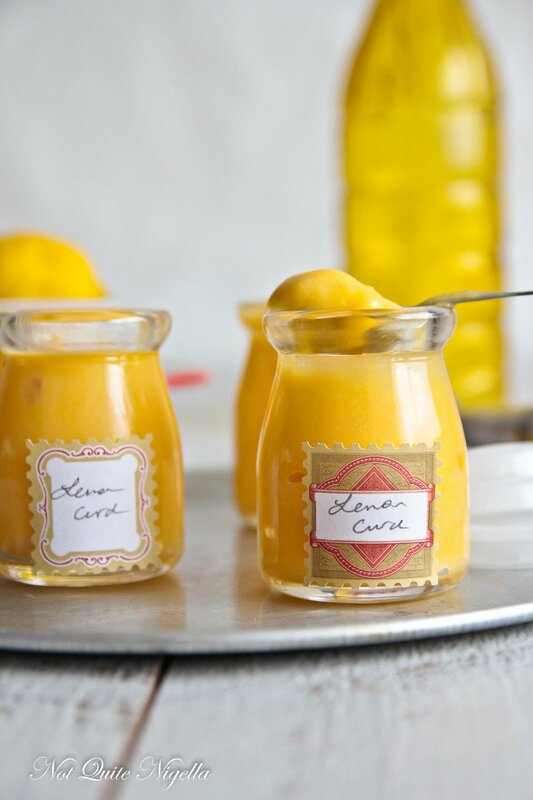 But this recipe using just yolks is easier to handle and it tangy enough to give you that very lemony hit that you crave with lemon curd while the texture is smooth as silk. So tell me Dear Reader, what's your best skill? Do you have a hidden talent? Step 1 - Whisk the egg yolks and sugar in a heavy bottomed saucepan. Set on low to medium heat (I set it on 4 out of 10 where 10 is the hottest temperature). Add the butter and heat slowly until the butter melts. Step 2 - Zest two of the lemons and add the zest to the egg yolk mixture. 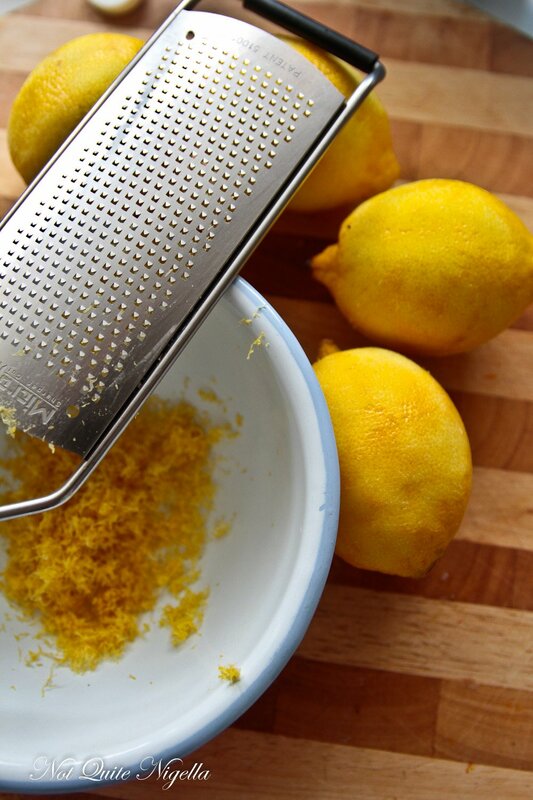 Juice the lemons to make 1 cup of lemon juice. Wait until the butter has melted to add the lemon juice. Stir using the whisk or a spoon - the egg yolks are more forgiving than if you use whole eggs. It takes about 15 minutes for it to thicken up and stirring every so often is good. It thickens on cooling and I remove it from the heat, put the lid on it and let it thicken from there. When cool, placed in sterilised jars.